HSN has Daily Deals NOW no need to wait for Black Friday! Daily Deals to knock out your gift list! No need to wait, shop now and get unique gifts at awesome prices. You also get the convenience of Flex Pay with HSN so its a little wiggle room when you need to get the most bang for your buck! 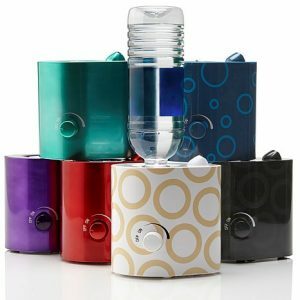 Today, Wed’s deal is this awesome personal humidifier where you can use a regular 16 oz water bottle! Adaptability is important. Every day we adjust to whatever life throws at us. But sometimes, wouldn’t it be nice to change your environment to suit you, instead of the other way around? With this personal misting humidifier, you can bring moist comfortable air to you, whether you’re in the office, at home or on vacation. Now that’s what we call flexible. Requires a standard 16 oz. water bottle (not included).